A.N.G.’s Iyara drops more bombs on the Gully! 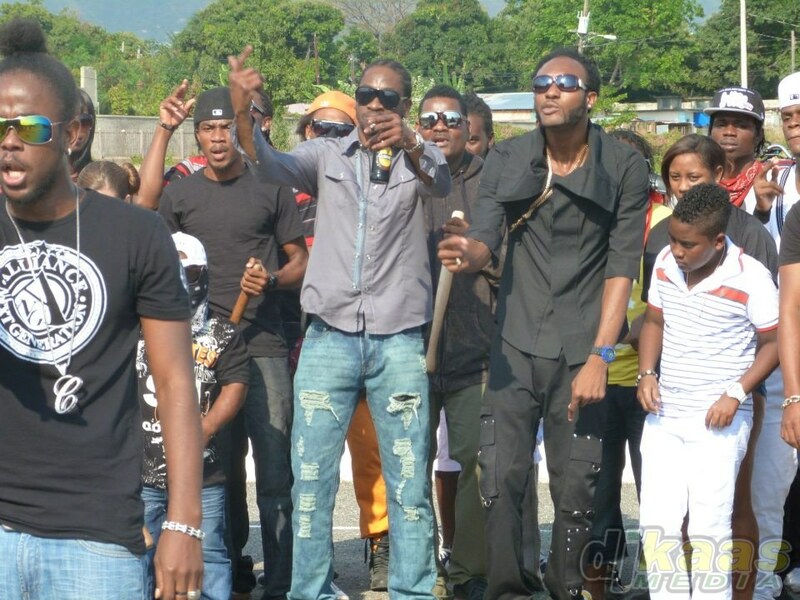 Bounty Killer and Iyara turn up the heat in the Alliance/Gully war! After his recent altercation with 3-Star on Truckback’s “The Bomba” riddim, Iyara now drops a brand new diss song, entitled “Evil Time Again”, aimed at 3-Star, Mavado and Chase Cross. Bounty Killer already entered the war last week, dropping two diss tracks targeting Mavado (“Death Work” and “A Who”). It is time for Mavado and his gully squad to step up and enter the warzone. “Evil Time Again” is produced by Payday music. Listen the latest addition to the Alliance-Gully Squad lyrical war below! ← War zone! Boom Steppa fires shots at Alkaline, Masicka, Gage, Rhyme Minista & More!